Professor Patrick Callaghan is the Dean of the School of Applied Sciences and Professor of Mental Health Science at LSBU. He specialises in psychosocial interventions for mental health and wellbeing. He was previously Dean of Health Sciences at the University of Nottingham and Non-Executive Director of the Nottinghamshire Healthcare Foundation Trust. He chaired the NIHR Funding panel for Integrated Clinical Academic Career Awards for nurses, midwives and allied health professionals between 2015-2017 and was the Research Executive Member of the UK Council of Deans for Nursing, Midwifery and Allied Health Professionals 2015-2018. He was Associate Director (Research Engagement) at the NIHR Clinical Research Network (Mental Health) 2012-2016 and was Visiting Professor in Mental Health at Trinity College Dublin, Ireland 2006-2012. He has held Visiting Scholar appointments at the University of Poznan, Poland and Kwazulu-Natal University, South Africa. He was the first elected Chair of Mental Health Nurse Academics UK and sits on the steering committee of Horatio: The European Association of Mental Health Nursing. He is a Professorial Fellow of the Institute of Mental Health, Nottingham. A Mental Health Nurse, Chartered Health Psychologist, Chartered Health Scientist and Principle Fellow of the UK Higher Education Academy, Prof. Callaghan has worked in mental health for 30 years. In 2010, he was awarded the Eileen Skellern Memorial Lecture for his contribution to Mental Health Nursing and the Winifred Raphael Memorial Lecture by the Royal College of Nursing UK in 2016. He led the education group of the Chief Nursing Officer’s Review of Mental Health Nursing in England in 2005. He is a former non-executive director of the Mental Health Act Commission in England. In 2018 Prof Callaghan was appointed a National Teaching Fellow in recognition of his contribution to outstanding teaching and learning in Higher Education. 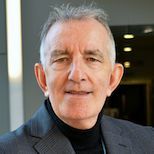 In 2019 he will be presented with the Lifetime Achievement Award by the Journal of Psychiatric and Mental Health Nursing for his outstanding contribution to mental health nursing. His research interests are evaluating psychosocial interventions in mental health and acute care, testing social cognition models of health-related behaviour in relation to exercise and mental health policy and service evaluation. Prof Callaghan has published 110 papers, secured around £6m of research grants and edited four books. Professor Patrick Callaghan teaches psychosocial interventions in mental health and wellbeing, research methods, the application of social cognition models of health behaviour change, communication skills and evidence-based practice. Professor Patrick Callaghan’s research interests lie in using Randomised Controlled Trials and qualitative process evaluations to investigate the effectiveness of psychosocial interventions in mental health and wellbeing and acute medicine and surgery. He has undertaken numerous funded studies including comparing social cognition theories of health behaviour change, testing the effect of psychological interventions to manage the stress associated with stressful medical procedures and surgery and policy evaluation in mental health. He led the evaluation of the Chief Nursing Officer’s Review of Mental Health Nursing in England 2007-2010, was Principle Investigator in the NIHR RFPB funded H.E.A.L.T.H – Help Enable Active Life Styles Towards Health 2008-2011 and Principle Investigator for the Nottingham arm of EQUIP: a £1.8m NIHR funded Programme Grant for Applied Health Research enhancing mental health service users and carers’ involvement in care planning 2012-2017.